“The National Park Service has awarded a contract for the modernization of the Washington Monument elevator and the construction of a permanent screening facility for visitors entering the landmark. The contract, in the amount of $10.785 million, was awarded to Grunley Construction Company, Inc. of Rockville, Md., on Friday, September 1. The two major projects are being completed simultaneously under one contract, creating efficiencies in the work that will expedite the reopening of the monument, planned for spring of 2019. 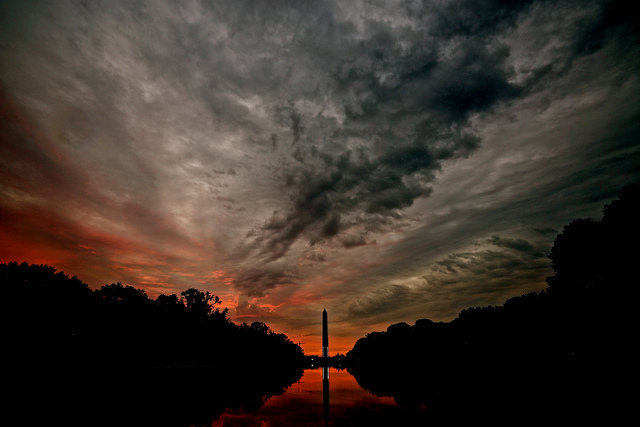 The Washington Monument has been closed since August 17, 2016, due to the unreliability of the elevator control system, which resulted in numerous service interruptions and visitor evacuations via the structure’s 896 steps. This contract will repair, upgrade and modernize the elevator, including removal of the out-of-date system components and upgrading and installing a new elevator control system to coordinate all aspects of elevator service such as travel direction, speed and acceleration, leveling, and door opening speed and delay. The contract will also allow remote access to the control system, located at the top of the monument, from the ground level. Additional components of the contract include upgraded cab door equipment; new compensation and hoist ropes; improved electrical and power wiring and connections; enhanced elevator cab communications; and code compliant access to the elevator machine room. The elevator modernization was funded by a $3 million donation from businessman and philanthropist David M. Rubenstein to the National Park Foundation’s Centennial Campaign for America’s National Parks. The current security screening building was constructed in 2001 and was only intended to be temporary. This contract includes removal of the temporary facility and construction of an upgraded, permanent building to meet long term security, historic preservation and park operation requirements. The new glass and steel facility will offer full ballistic and blast protection and includes queuing space for 18-20 visitors at a time, screening equipment, an accessible restroom for National Park Service and U.S. Park Police staff and a security office. The screening facility is being built with appropriated funds from the National Park Service’s FY17 budget.